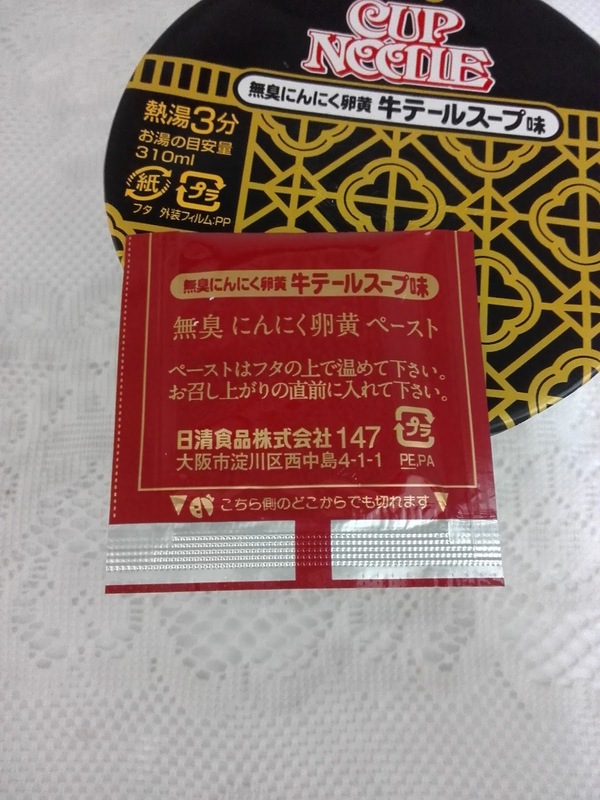 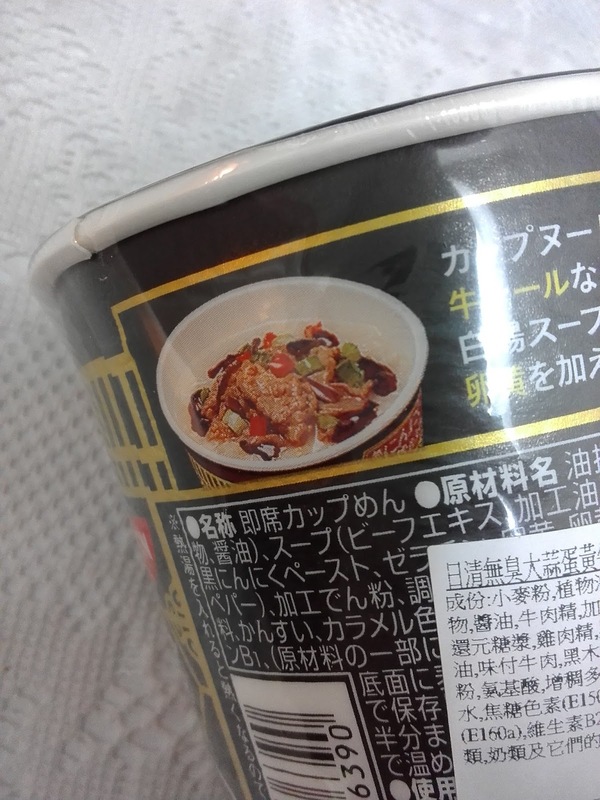 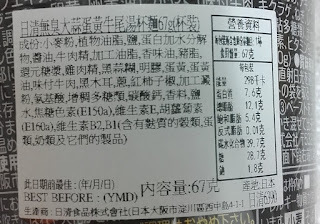 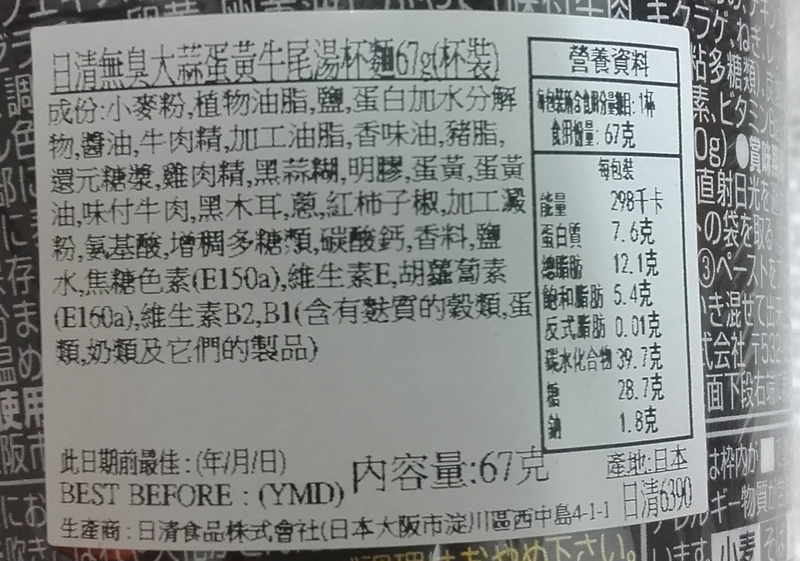 As I can't read Japanese I couldn't quite make sense of this flavour but the Chinese labelling seems to decipher garlic, egg white and oxtail as the main ingredients. 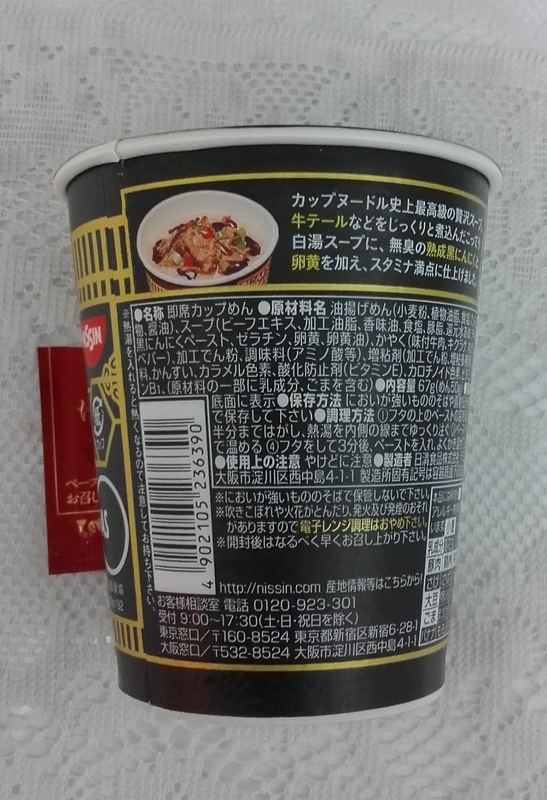 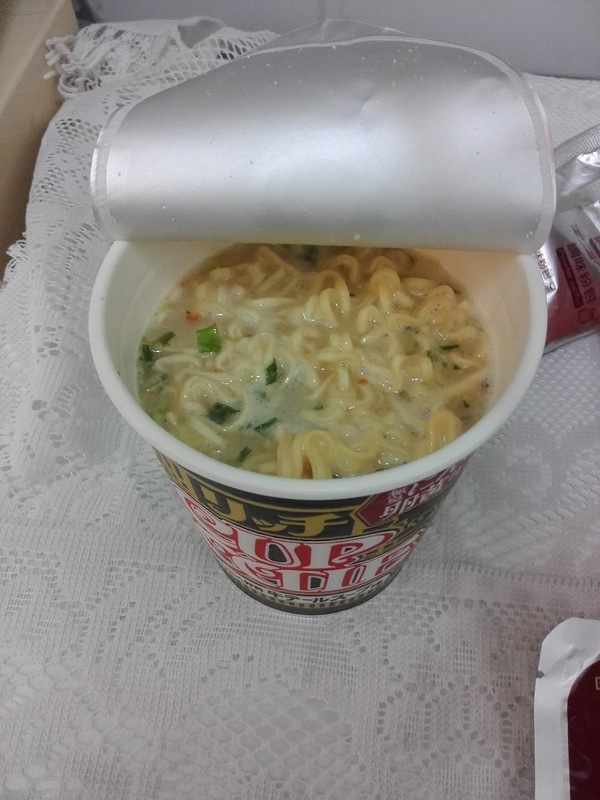 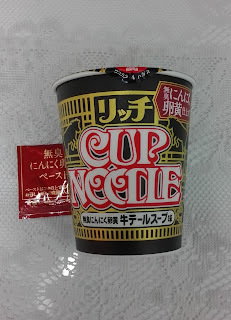 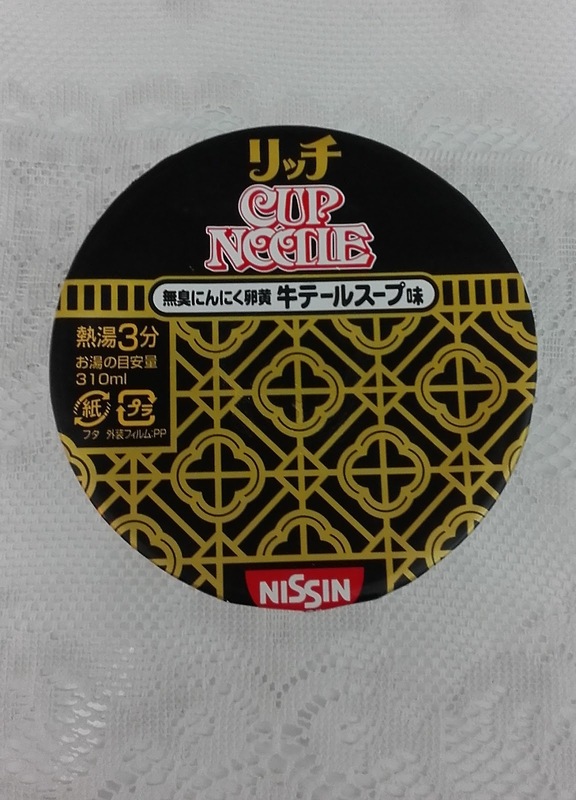 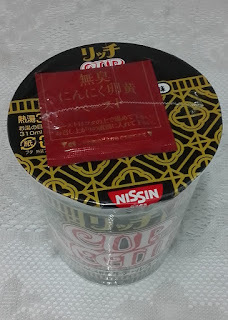 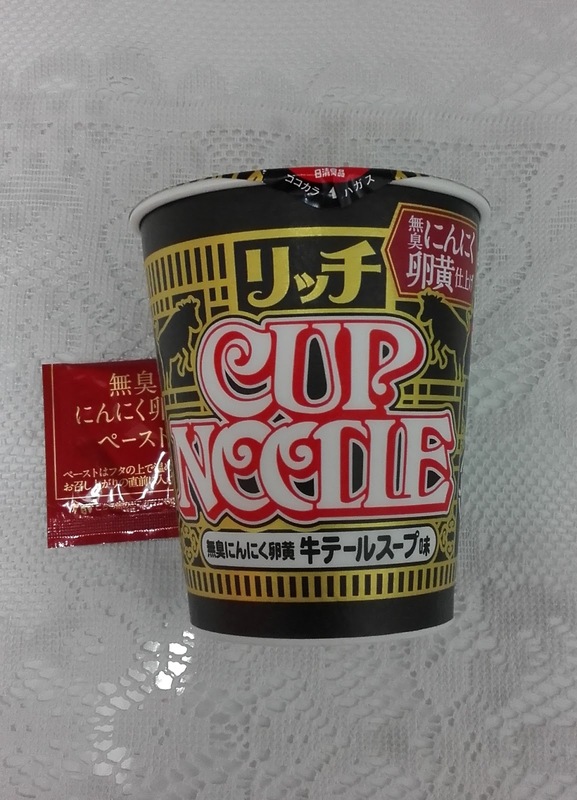 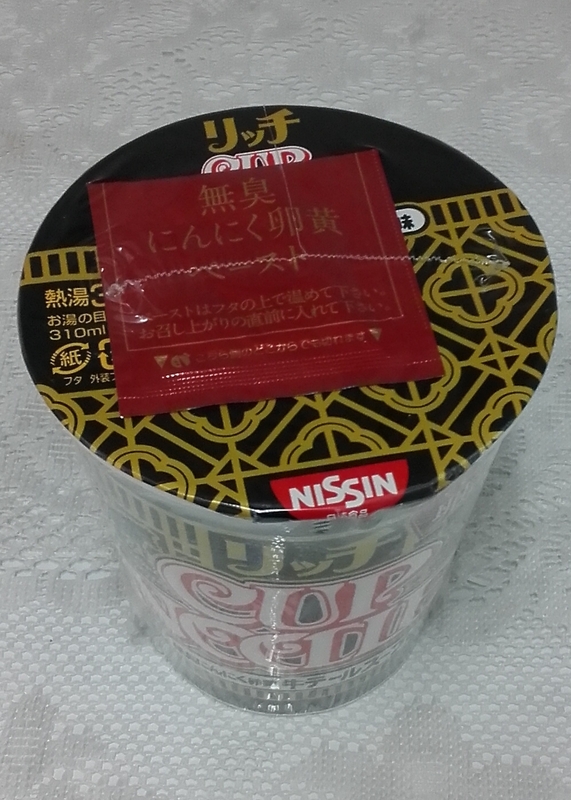 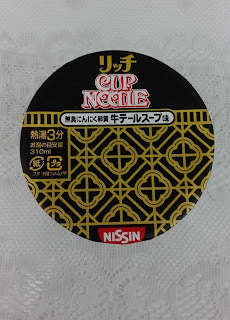 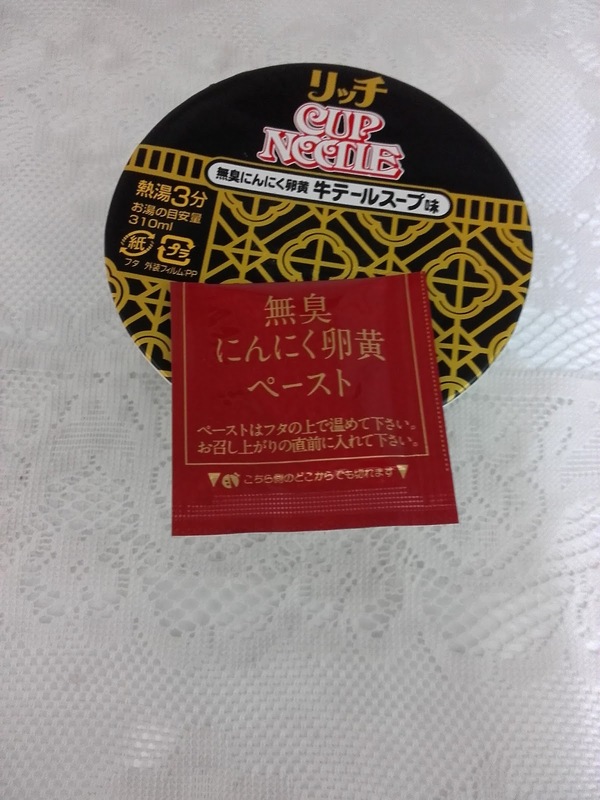 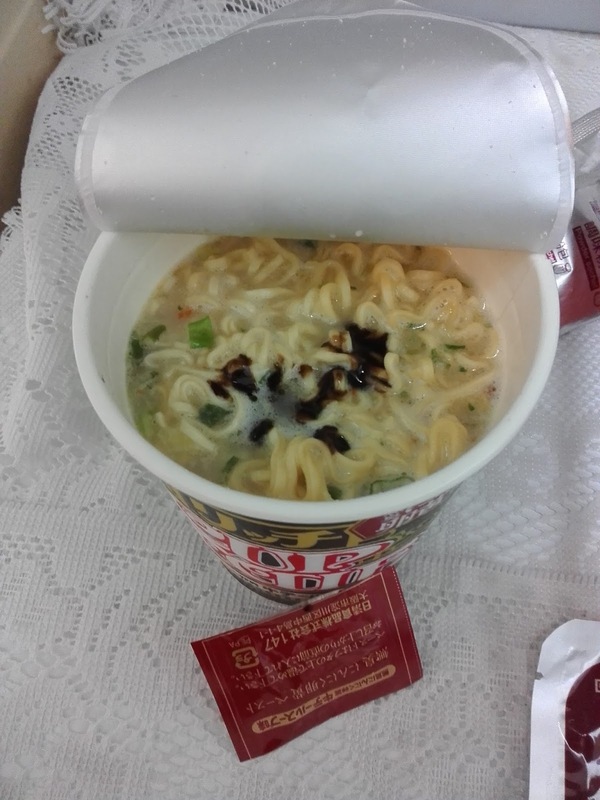 The design of the cup noodle is the same as the 45th anniversary series where they had controversial sharks fin and turtle. 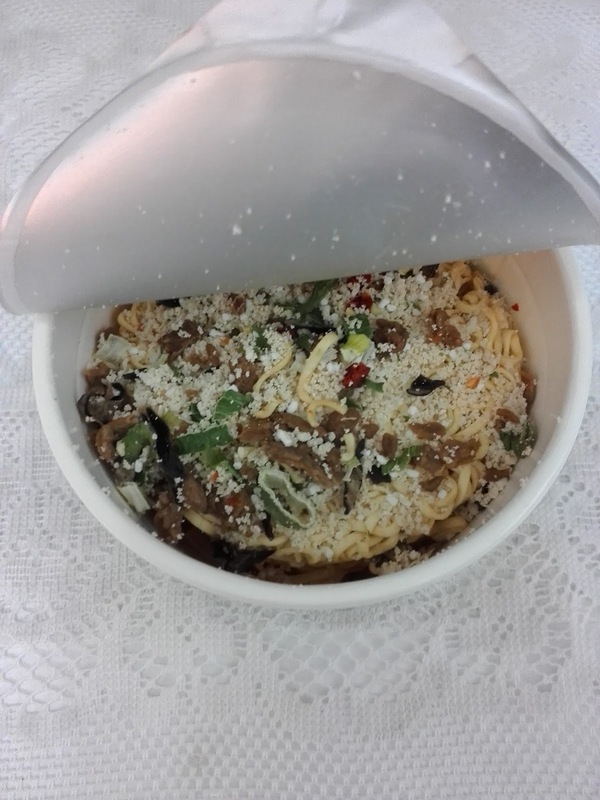 I found pieces of black fungus, bell peppers, spring onions and beef which can be found when you peel back the lid. After adding water the broth was quite white and milky. The smell was strangely like Parmesan mixed with milk and the taste was creamy and oily. 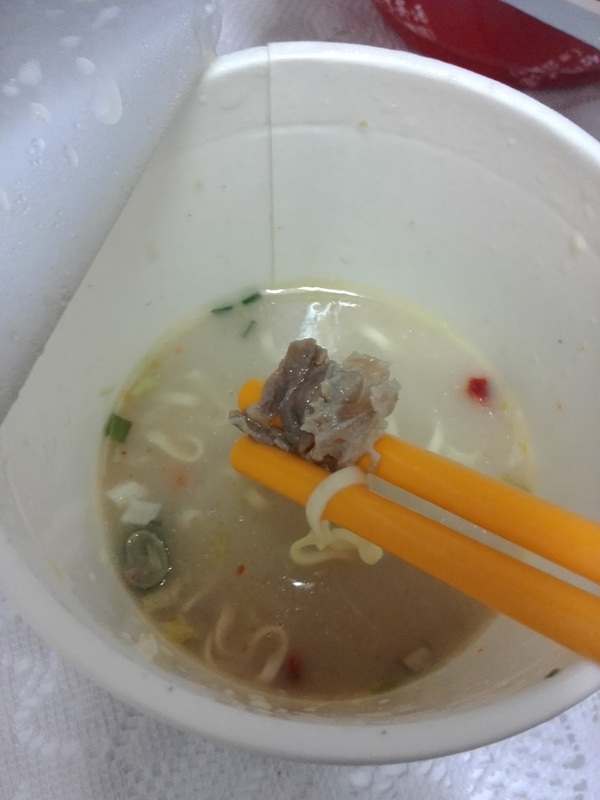 The bits of beef were thinly sliced just like the ones you find at Yoshinoya beef rice bowls.